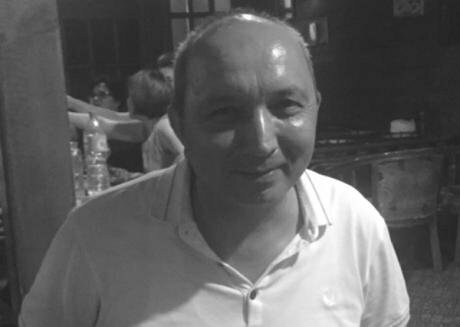 Erkin Musaev, former political prisoner. Image: Human Rights Watch. The most striking thing about Erkin Musaev is his optimism. With a pleasant smile and gentle manner, he told us over dinner in Tashkent about his ideas for improving Uzbekistan, his homeland. Uzbekistan is going through a reform shake-up under president Shavkat Mirziyoyev, who last year took over the reins following the death of the authoritarian leader Islam Karimov. There have been some important human rights changes, but severe patterns of abuse still exist. Many people are excited about the changes but Musaev, 50, is an unlikely candidate to be one of them. He was a senior official for Karimov’s administration for many years, and one of his representatives to NATO. Yet in 2006 he found himself facing bogus espionage charges, and was thrown in jail, convicted and sentence to 20 years in prison. Musaev was severely tortured, and his health suffered during his 11 years behind bars. But then, in August, he was released — one of more than 10 former political prisoners set free since Mirziyoyev assumed the presidency. “Since my release I’ve written to president Mirziyoyev and offered to support what he is doing,” Musaev told us, referring to the president’s efforts to respond to ordinary people’s problems through a new network of local complaint centers across Uzbekistan. Considering the horrors Musaev lived through in prison, his eagerness to look forward is both refreshing and deeply impressive. 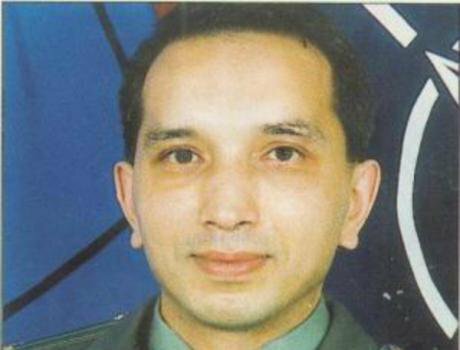 A specialist in military technology, Musaev worked in the 1990s for the Defense Ministry, at one point also joining a US-sponsored exchange program to study English in Texas. His NATO posting from 1997 to 2001 took him to Brussels, where he heard for the first time of concerns about Uzbekistan’s human rights record. Erkin Musaev, year unknown. (c) Association for Human Rights in Central Asia.He pauses in his story, the bitter irony clear to him — that this government official who defended Tashkent’s record would just a few years later himself suffer the torture he asserted did not exist. Later, he went to work for the Tashkent office of the UN Development Program, working on border management issues. He was arrested at Tashkent airport on 31 January, 2006 and later coerced to sign a confession that he had spied for the US, the UK and UN. One theory is that Karimov was angry at Western governments’ critical reactions to the killing of hundreds of protesters by government security forces in the eastern Uzbek city of Andijan in May 2005. As a UN employee, Musaev was an attractive target. While he was in detention UN bodies repeatedly said they had gathered credible evidence that Musaev was tortured in prison. But hearing about it from the man himself is chilling. Held in a cramped cell in the basement of the SNB security services for six months, he was beaten repeatedly on his head, chest and feet. He felt like there was also little oxygen to breathe properly. “Those torturers are still working there,” he said. In a 2008 public letter written after a prison visit, his wife, Rayhon Musaeva, said he had been beaten so badly his face was unrecognisable. He was deprived of sleep and water on occasion throughout his prison time. Musaev, an educated man who read books by Aleksandr Solzhenitsyn and Barack Obama while in jail, helped other prisoners write letters to relatives or to lodge complaints. “My prison nickname was ‘the writer,’” he said, estimating that he wrote 150 letters a year for himself and others. He admitted, however, that most, if not all, probably did not reach their destinations. He also wrote a book while in prison, with stories about his fellow prisoners. But guards confiscated and destroyed the manuscript, suspicious because it was written in Russian, not Uzbek. Even this story doesn’t disrupt his optimism. He is clearly determined to catch up with the outside world and move on with life as quickly as he can. He is brimming with ideas of how to make prisons more humane, noting some modest improvements under Mirziyoyev while stressing how unjust the overall system remains. Human Rights Watch issued a report on October 25, 2017 assessing progress on human rights in Uzbekistan after a year under the country’s new president, Shavkat Miryziyoyev.